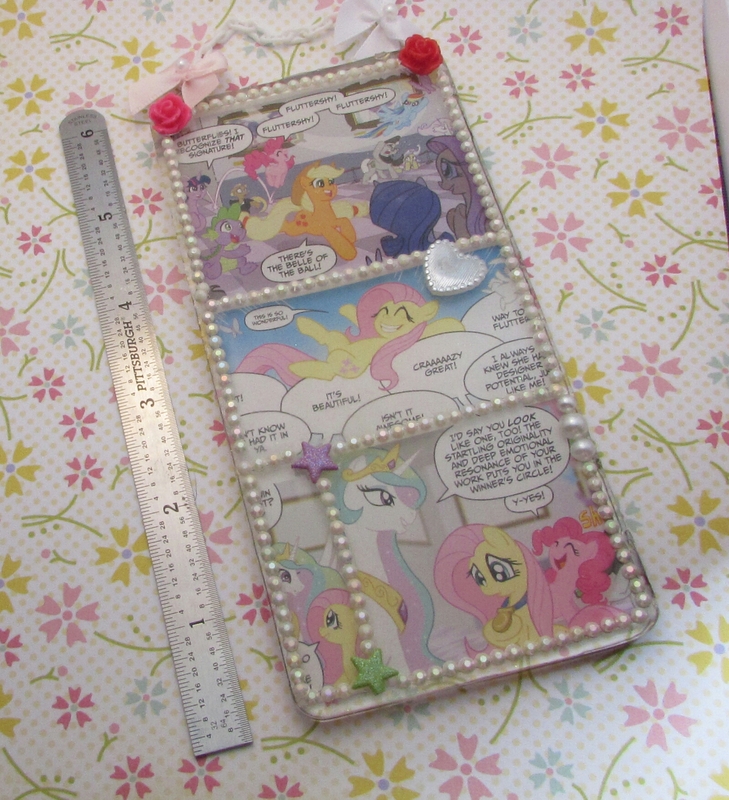 Moving on, today we have the My Little Pony resin pieces, which a couple of them I am stupid excited about. Let’s begin with the small ones and work up to the Jumbo Double Sided Wall Ornament! This is the first double sided resin piece I’ve made. 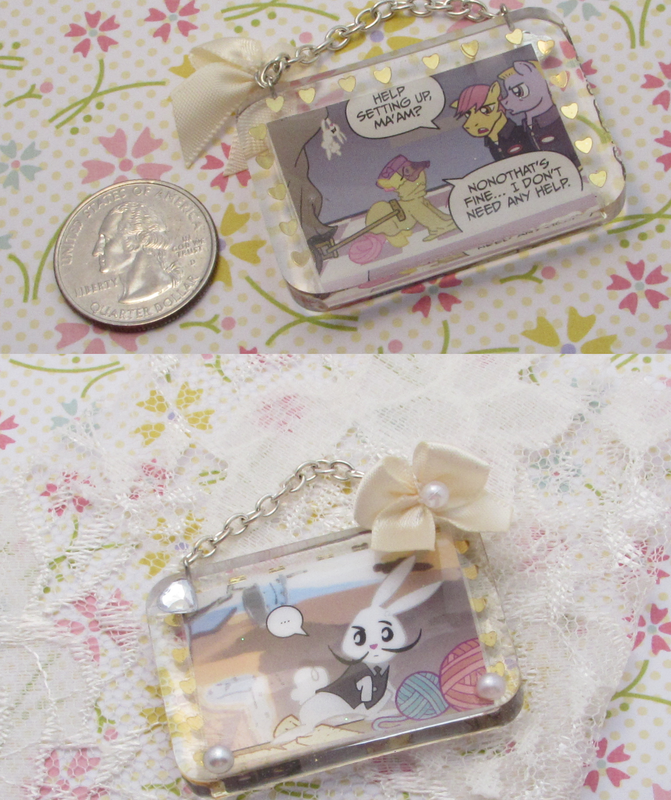 It is cut from a comic book and suspended in resin with little confetti hearts as a border. 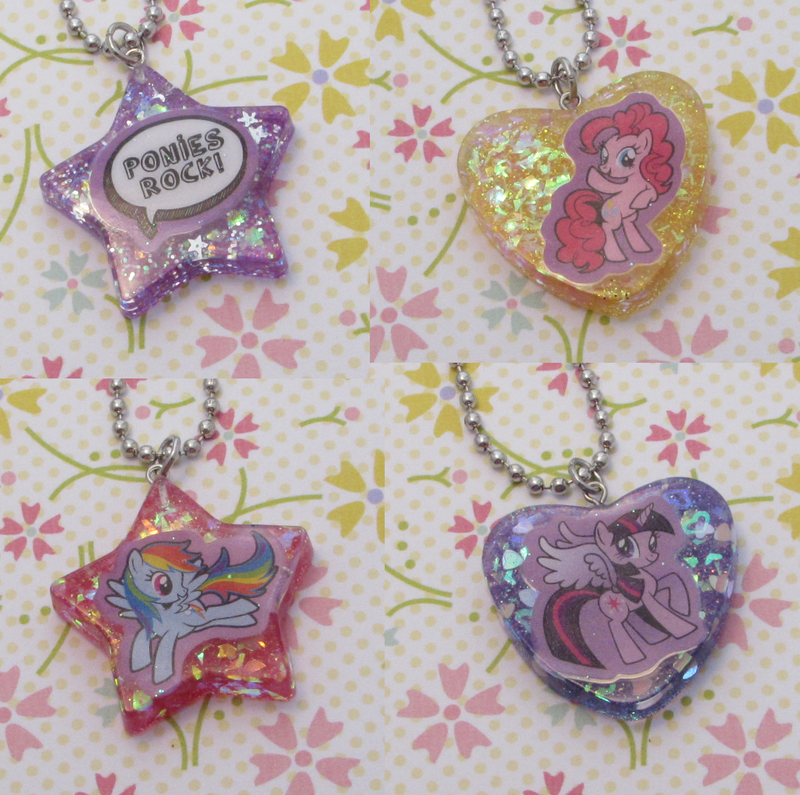 Just a few MLP necklaces. It is really difficult to fit stickers in these molds, but I can’t find any others around this size that give a shine finish, most ice cube trays and candy molds in cute shapes leave the resin with a matte finish. 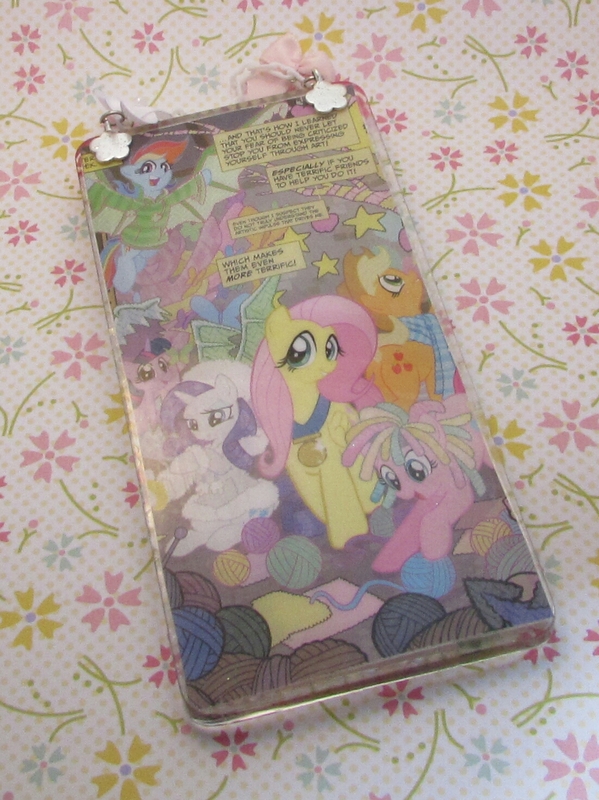 This is everyone’s favorite of the MLP pieces. I can see why, it’s hilarious! The resin seeped onto the right side of the picture a little bit, and I could “cover it” with some bling stones, but I like the simplicity of the piece as it is. What do you think? This is the Jumbo Double Sided Wall Ornament. I put some cute bows on the top to make it more kawaii and a white chain to hang from. I’m super proud of this piece! 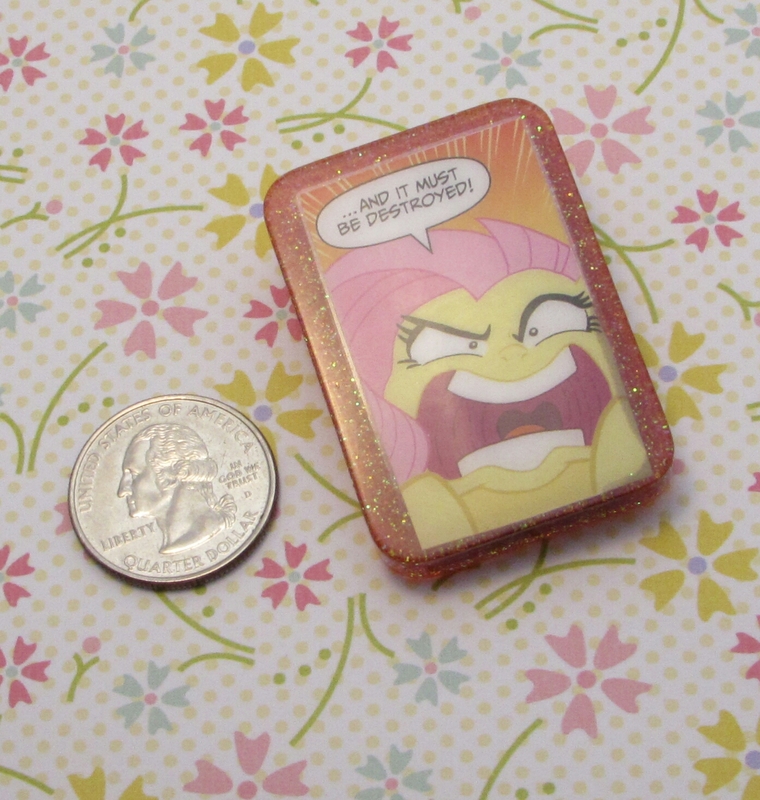 It is six inches tall and three inches wide. Here is the back of the Jumbo piece. Orignally, I had intended this to be the front, but after I put the cabochons on the other side, that kinda transformed into the better side :p Sometimes with art, what you don’t plan comes out the best! 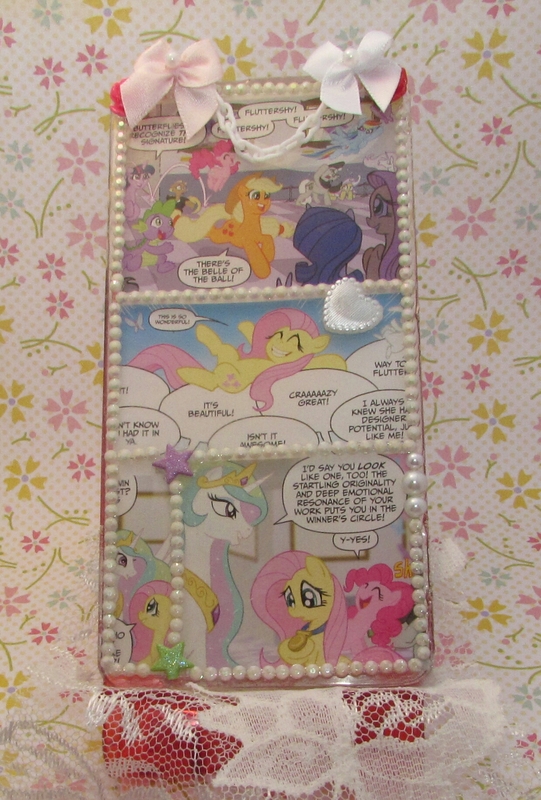 I hope everyone enjoyed the My Little Pony Resin Showcase! So beautiful!! You are a super amazing crafter and artist! I want to learn how to work with resin one day and expand my art from only doing drawings/paintings. ☆☆** v(o^▽^o)v**☆☆ Thank you for the kind words! There are lots of tutorials on Youtube to learn resin casting from, and I may start doing them in the near future too. 🙂 I’m sure you can do it if you put your mind to it!